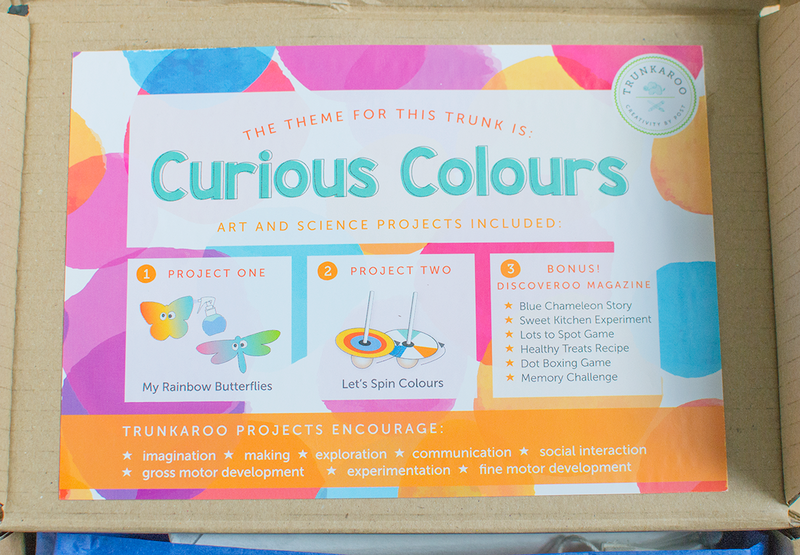 Trunkaroo is a craft subscription box service for kids aged 3-8 years, the boxes are gender neutral with a focus on STEAM (Science, Technology Engineering, Art and Math). We were recently sent one of their boxes for the kids to try out and report to you guys how we got on with it. Everything comes neatly package in a box and each month there is a theme, this one was ‘curious colours’. We made the spinners first. 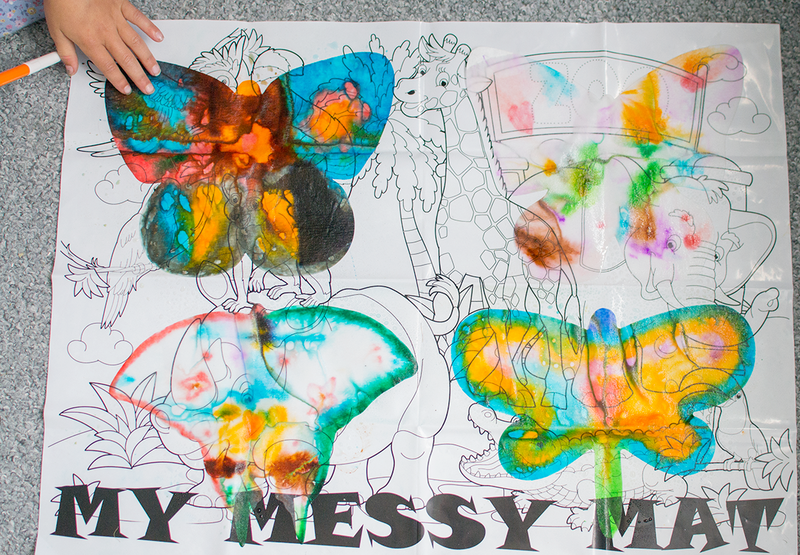 The kit has everything you need including the pens and messy mat. Cherry and Tiger love crafting so much so they were really excited to get stuck in. 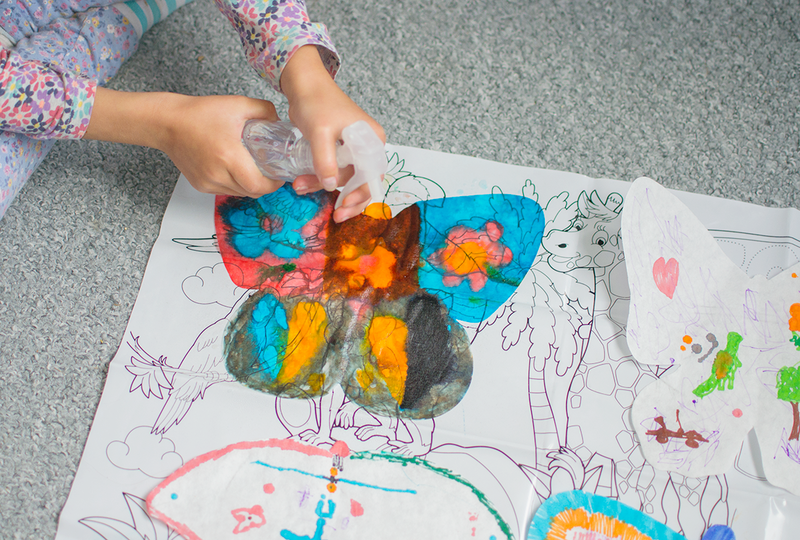 The next project was rainbow butterflies which we all really enjoyed, we all coloured in a butterfly then you had to spray them with water so all the colours mix together and create a really gorgeous effect. 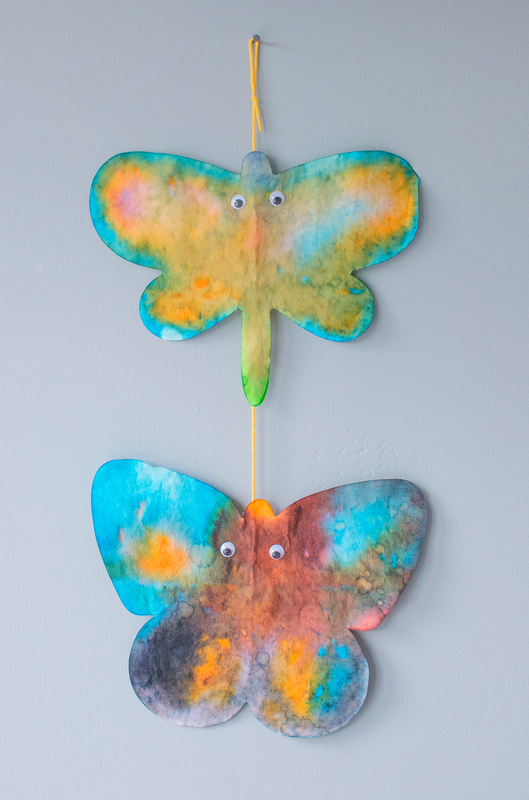 Once they had dried we hung them up in the kid’s room. We absolutely loved the box, even as a craft blogger sometimes I get stuck for inspiration and although Cherry is really creative and always making things from her imagination, she also enjoys following structured projects too. 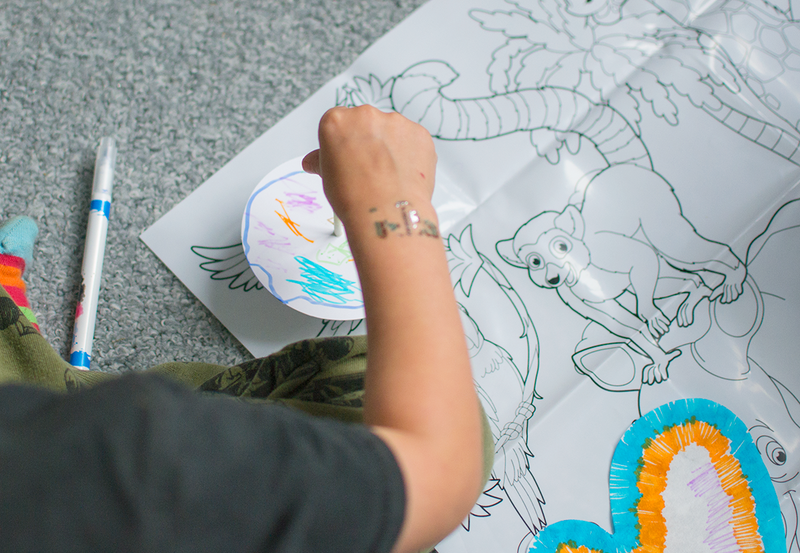 A craft subscription box such as Trunkaroo is a perfect solution for busy mums who don’t have time to search the internet for kids crafts or source the supplies needed to make them. This just arrives at your door with everything you need. As well as the subscription service you can also buy one off themed boxes such as one about famous artists or growing seeds. 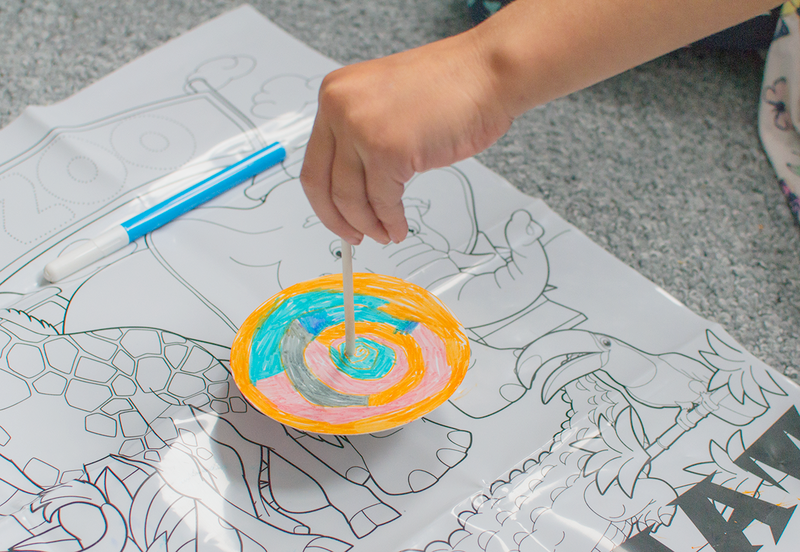 The great thing is that once you have the ideas you can recreate them in different ways too, for instance Cherry wants to cut shapes out of coffee filter paper and use the pens and spray bottle to make something new. 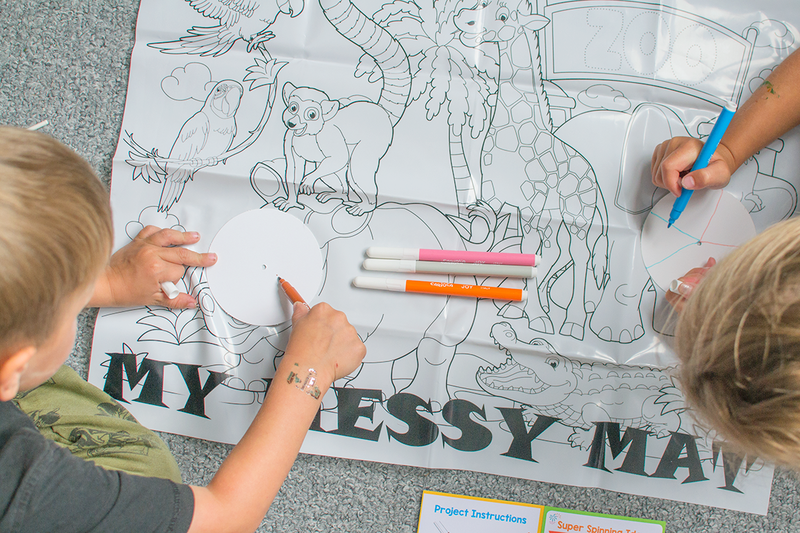 So I think the boxes are great for helping kids explore their creative side and come up with new ideas. 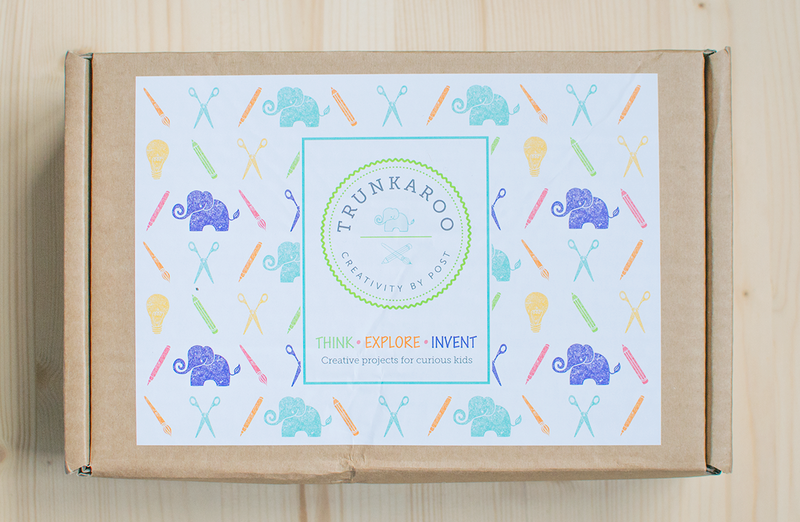 Trunkaroo subscription boxes get a big thumbs up from us. Thanks to Trunkaroo for working with us on this post.